Molly Ringwald, Peter Yarrow, the Seattle Rock Orchestra and others are part of the Kent Arts Commission’s 2018-2019 Spotlight Series. The performing arts series features nine performances, beginning Oct. 13 and running through April 5. 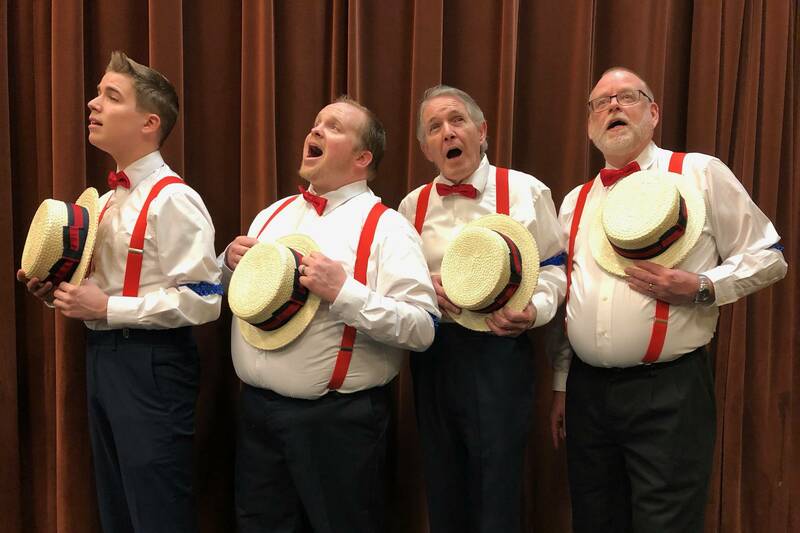 Tickets may be purchased online at kentarts.com, by calling 253-856-5051 or in person at the Kent Commons, 525 Fourth Ave. N. Hours for phone and in-person sales are Monday through Friday from 6 a.m. to 9 p.m. and Saturday from 8 a.m. to 9 p.m. Box office is closed on Sunday. Spotlight Series is presented by the Kent Arts Commission and Kent Parks, Recreation and Community Services and partially funded by 4Culture, WESTAF, National Endowment for the Arts, and a variety of business and individual sponsors. Skerryvore, a renowned folk-rock band from Scotland and award-winning quartet We Banjo 3 from Ireland join forces for an unforgettable night of Celtic folk, rock, pop and bluegrass. Hailed by Rolling Stone as “a genre unto herself,” composer and guitarist Kaki King is a true iconoclast. This innovative, immersive, multi-media production uses the guitar as a projection screen to tell a story. The Boulding Family’s musical celebration of the holiday season is a festive and memorable tradition. Once again, Pam and Philip Boulding are joined by their children, grandchildren and guests for an afternoon of Yuletide music, Irish step dancing, drumming and storytelling. Peter Yarrow is a folk legend with a contemporary message. His talents as a creative artist – both with the legendary trio Peter, Paul & Mary and as a solo performer – are frequently directed at using music to convey a message of humanity and caring. Taking inspiration from the popular Beatles compilation album “1,” Seattle Rock Orchestra celebrates the band’s broad swath of No. 1 hits, along with their charming B-Side companions (many of which are hits in their own right). Featuring the songs “Can’t Buy Me Love,” “Eight Days A Week,” “Yesterday,” Penny Lane,” “Hey Jude,” “Something,” “Let It Be” and many more. Letters Aloud reads private letters in public – real letters by real people, read by great actors. Celebrate Valentine’s Day with this special edition featuring letters of loving, longing and leaving. From awkward courtship, to horrible breakups, to loves of a lifetime, and lifetimes of love, we’ve got it all in these letters that range from steamy to sweet. International Guitar Night is North America’s premier traveling guitar festival. This tour features Luca Stricagnoli, Italy’s explosive showman, as guest host. He will be joined by two of France’s acclaimed young prodigies, Swing guitarist Antoine Boyer and Flamenco guitarist Samuelito, as well as the ground-breaking Turkish fretless guitarist Cenk Erdogan. In this comedy/classical show, internationally accomplished pianists Andreas Kern and Paul Cibis, each with distinctly different performance styles, go head-to-head on stage. This is serious classical music in a whole new context – and the audience decides the winner.